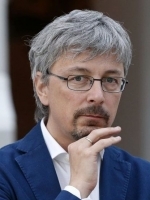 CEO of the 1+1 TV Channel Oleksandr Tkachenko has accused incumbent Ukrainian President Petro Poroshenko of breaking into the studio of the Right to Power program without any invitation on Thursday, April 11, and is going to sue the head of state. He wrote this on his Facebook page - Ukrinform. "You have earned only for a lawsuit from us after you shamefully broke into our studio during a live broadcast, a private company, without any invitation, using the status of the head of state and not going to leave. Even despite the polite hints of the host to take your seat in the studio, you again talked a lot. Wait [for our lawsuit] on Monday, including for your previous accusations against the 1+1 channel," he said. Tkachenko also wrote that Poroshenko had been invited to the Right to Power program during all weeks of the election campaign. "There was just silence in return," he wrote. The president appeared in the studio of the Right to Power program on April 11 and invited showman Volodymyr Zelensky to a presidential debate. However, the latter replied by phone that he was in Paris, where he is to meet with French President Emmanuel Macron on April 12, and added that he was ready to debate with Poroshenko at the Olimpiyskiy Stadium in Kyiv on April 19.